Hi everyone another year has passed and the biggest event of our industry is getting close. This year JIS and JCK have come together and are now not only under the same roof but in the same hall. Please see the JIS website for further show info. 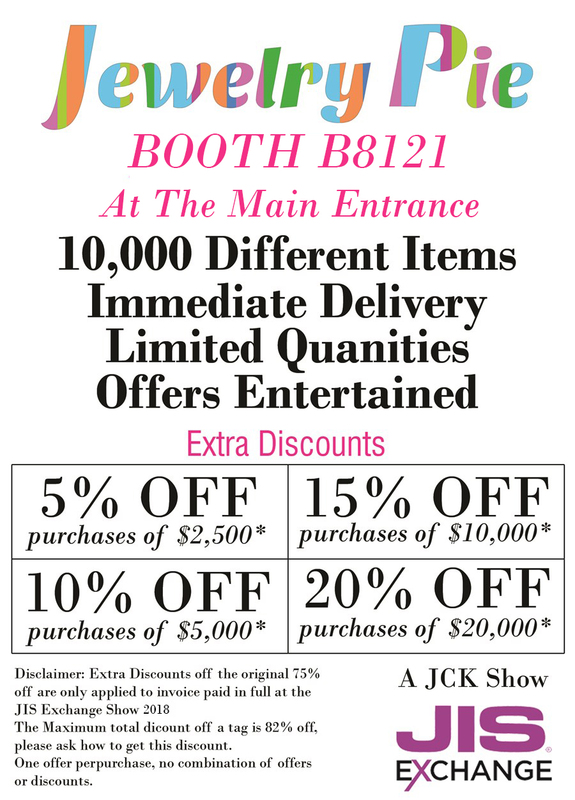 Jewelry Pie, once again will be at the entrance of the show and will have over 10,000 items ready for immediate delivery. please see our JIS Show page. CLICK TO VIEW MORE IMAGES OF ITEM WE WILL HAVE, PLUS THOUSANDS MORE . THE MORE YOU BUY THE MORE YOU CAN SAVE.